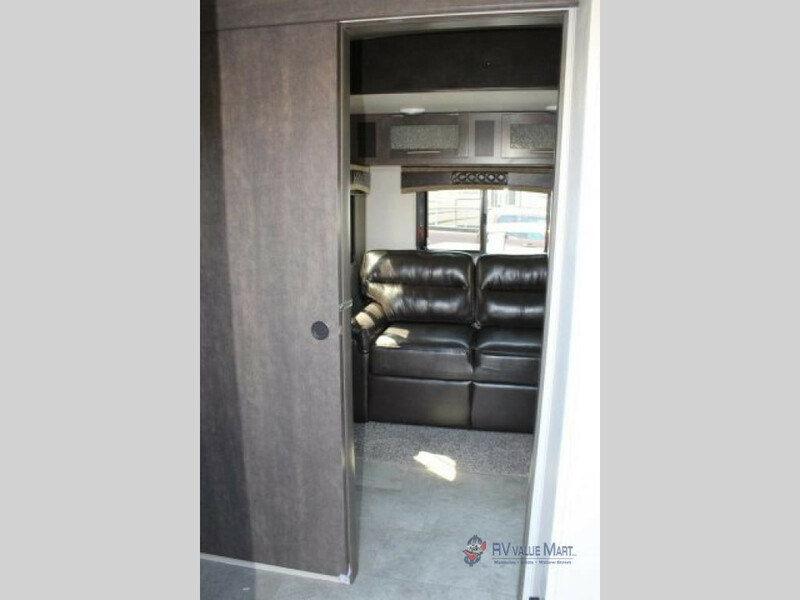 Whether you have travel buddies you love to share your vacations with, or you’re looking for an easy solution for the kids, this Crossroads Cruiser Aire fifth wheel is perfect for you! This model features high-quality indoor and outdoor amenities that you will love, and it offers sleeping for up to 7 with the private second bedroom! Check out more incredible features in this Crossroads Cruiser Aire fifth wheel review! 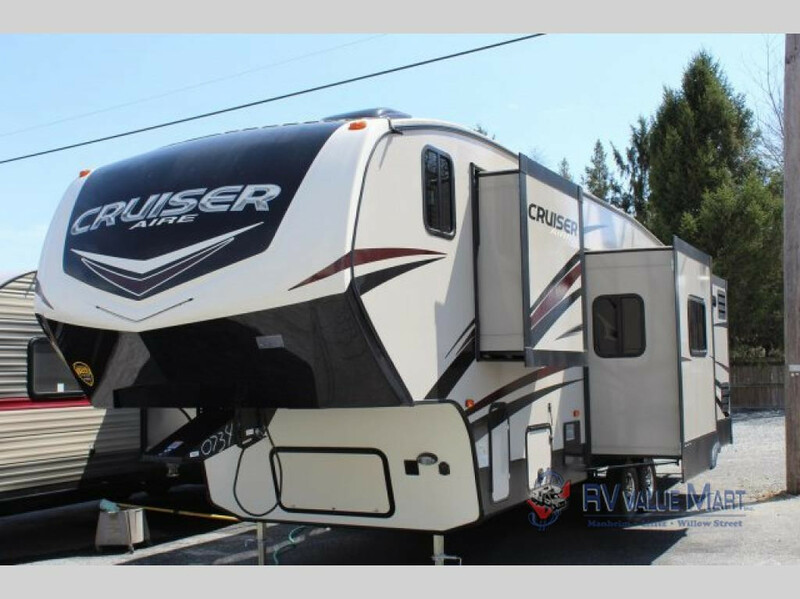 Find more Crossroads Cruiser Aire fifth wheels for sale at RV Value Mart. 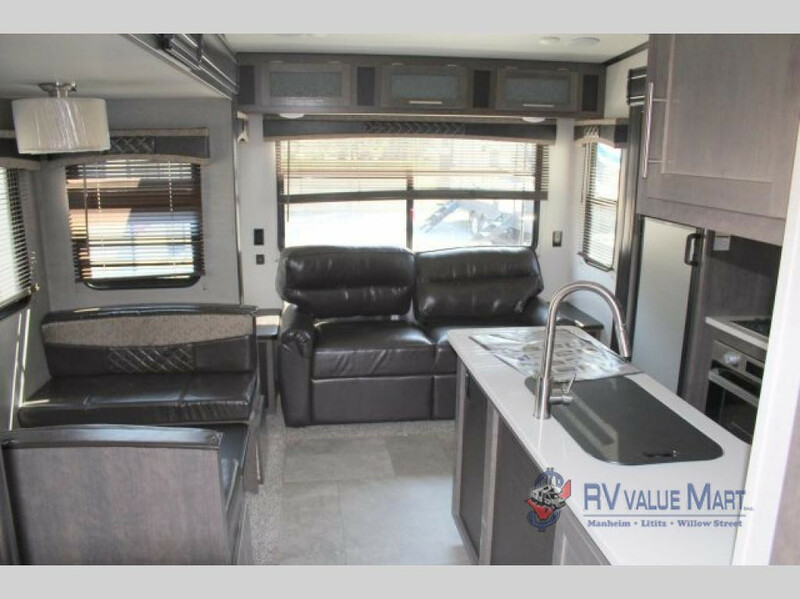 Step inside this Crossroads Cruiser, and you’ll find dual opposing slides in the living area and a spacious kitchen peninsula for all your prep and clean up work. The high rise faucet and double stainless steel sink will make doing dishes easy and quick, so you can get back to enjoying your vacation. You’ll love the sturdy lumber core screwed style cabinetry and 70lb full extension steel ball bearing drawer guides. In the living room, you’ll find a tri-fold Hide-a-Bed sofa and 40″ booth dinette for additional sleeping space. The kitchen dinette and sofa fold down into extra bedding when needed. In the master bedroom, you’ll find plenty of storage for your wardrobe needs, including a large closet and additional space under the bed. Outside, you can enjoy the weather under the power awning with LED lighting, so you won’t have to call it a night just because the sun went down. In addition to these features, this model is also equipped with a black tank flush system and is both solar and back up camera prepped so that you can customize your experience with ease! Enjoy a private master bedroom, while the kids sleep in the second bedroom! 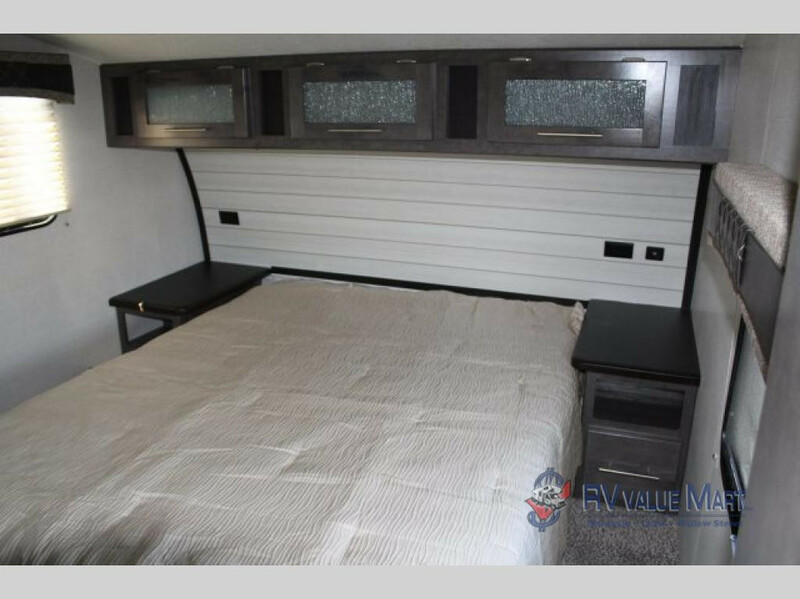 The Crossroads Cruiser Aire fifth wheel features a second bedroom, which makes it ideal for multi-family vacations, or trips with all the kids. The spare room features a convertible 64″ sofa, a giant slide, and dresser for storage. You can even opt for a second A/C unit in the bedroom, to help keep everyone cool on those hot, summer days. The perfect solution for multi-family vacations! Surprise your family this season with the perfect RV for your next vacation! Contact us today.